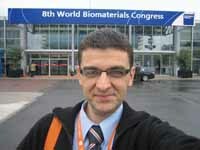 The Eighth World Biomaterials Congress was held in Amsterdam between May 28 and June 1, 2008. 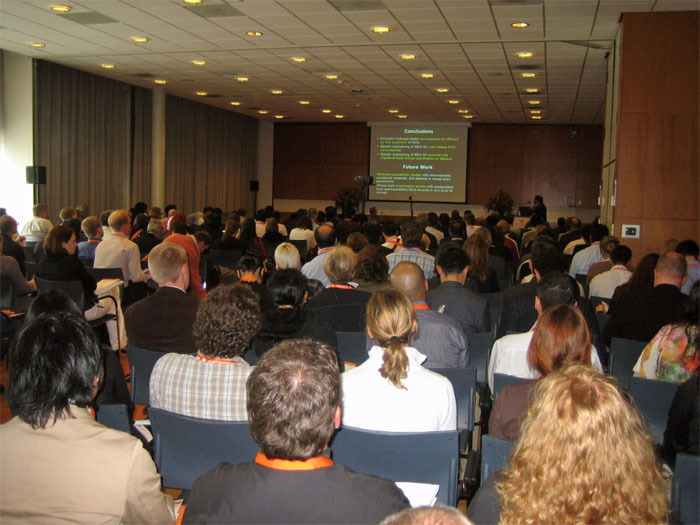 It was attended by about 3500 researchers from around the world. Leading scientists from the Americas, Asia, Europe, Africa and Australia presented their most recent achievements in biomaterials research. Congress Organizing Committee: Wouter J. A. Dhert, Klaas de Groot, Joost D. de Bruijn, Dirk W. Grijpma. Scientific Programme Committee: James Kirkpatrick, Jan Feijen, Clemens A. van Blitterswijk, John A. Jansen, Luigi Ambrosio, Josep A. Planell, Peter Thomsen. Programme Coordinators: Sander C. G. Leeuwenburgh, Jos Malda, Jeroen Rouwkema. International Scientific Committee: Toshihiro Akaike, Gloria de Almeida Soares, Iain Anderson, Mario Barbosa, Laurence Bordenave, Barbara D.Boyan, Yilin Cao, Cecila de Carvalho Zavaglia, Ashutosh Chilkoti, Chong-Su Cho, Alberto Cigada, Lisbeth Grondahl, Thomas Horbett, Ging-Ho Hsiue, Kazuhiko Ishihara, Seung Jin Lee, Mutlu Karakelle, Minna Kellomäki, Sampath Kumar, Andrew Lloyd, Gabriel P.Lopez, Keith Mc Lean, Antonios G. Mikos, Ajit Nair, Hajime Ohgushi, Tae Gwan Park, Heinrich Planck, Laura Poole-Warren, John L. Ricci, Julio San Roman, Paul Santerre, Heather Sheardown, Laura J. Suggs, Hsing-Wen Sung, Elizabeth Tanner, Pentti Tengvall, Paolo Tranquilli-Leali, William Wagner, Kimberly A Woodhouse, Tingfei Xi, Takayuki Yoneyama, Yaoting Yu, Nobuyuki Yui, Xingdong Zhang itd. 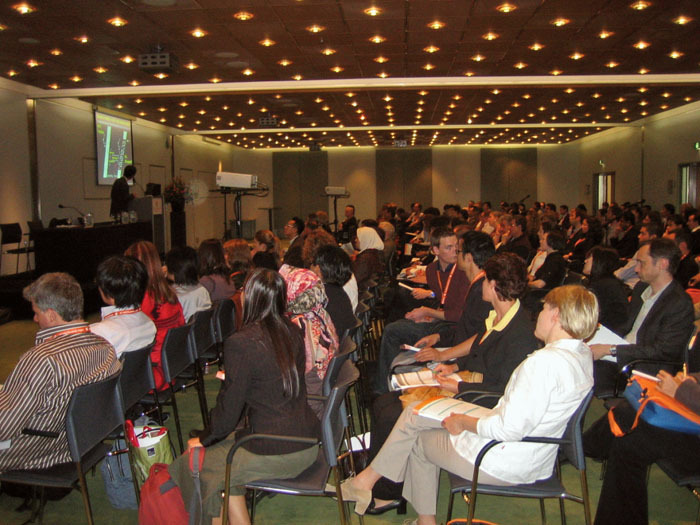 The Congress sessions were simultaneously held in 12 conference halls. The Congress Programme included 105 oral and 57 poster sessions, i.e. a total of about 3000 presentations. 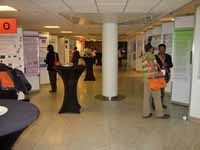 Research areas covered by the Congress programme include: NANOTECHNOLOGY, COMPOSITE BIOMATERIALS, GENE RECONSTRUCTION, TISSUE ENGINEERING, CANCER TREATMENT, TARGETED DRUG DELIVERY, GROWTH FACTORS, HYDROGELS, INJECTIBLE CEMENTS, etc. The Congress was supported by numerous world's leading biomaterials manufacturing companies, like DSM, Integra, Invibio, PURAC, GENZYME, BOSE, IonBond, TiGenix, PolyVation, etc; at 44 exhibition stands, congress participants and visitors could get acquainted with their recent products. 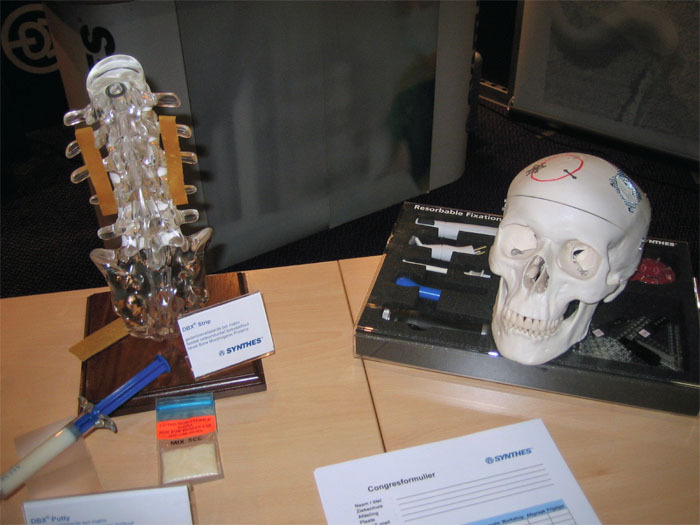 Lively interest in this type of products rests in the fact that medical application of biomaterials significantly contributes to prolonged life expectancy and can help improve the quality of life. There is also a growing body of research focusing on the application of biomaterials in space research – since during space flight the nearest clinic is still "to far". The Biomaterials Congress Programme also included the Forum of Young Researchers dealing with employment policies for young researchers. A special session was dedicated to Professor Klaas de Groot, a pioneer of the synthesis, characterization and application of calcium phosphate ceramics, calcium hydroxyapatite, the chief ingredient of the inorganic component of bone tissue. Professor Clemens A. van Blitterswijk gave a speech on the work of ProfessorDe Groot, who has published 1121 highly ranking papers, cited 20260 times. At the Eighth World Biomaterials Congress, Serbia was represented by a single poster presentation: Ultrasound Synthesis of Poly-DL-lactide-co-glycolide/Hydroxyapatite Core-shell Nano-spheres, by Marija Jevtić, Nenad Ignjatović, Miodrag Mitrić and Dragan Uskoković. The poster was presented by Dr. Nenad Ignjatović of the Institute of Technical Sciences of SASA and could be seen on May 29-30, 2008. The presented study deals with a new method of the synthesis of nano- composite biomaterials. Special attention in the presented results was shown by Dr. Aldo Boccaccini (Imperial College, London), Professor Serena Best (Cambridge University), Professor Naznin Sultana (Hong Kong University); Dr. Mototsugu Tanaka (Kanazawa Institute of Technology, Japan), and Dr. Jindřiška Bočková (Brno University, Czech Republic), who discussed the possibility of cooperation with the Institute of Technicals Sciences of SASA concerning ultrasonic synthesis of nanocomposite materials.